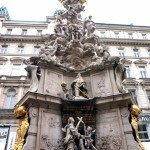 This is part of my review of our 3 week trip to Europe. 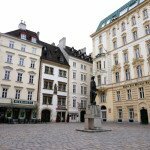 You can read about Salzburg, our first stop here. 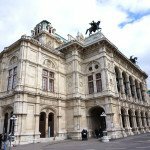 We arrived from Salzburg on a train and on arrival I really wanted to get an Uber. However, it seemed to be peak time because the fare was 4x the normal rate. 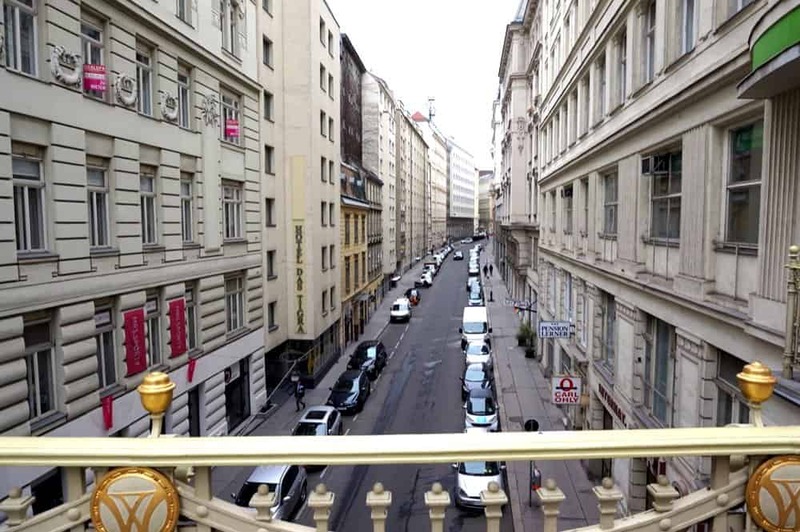 We eventually ended up getting a normal taxi from the train station to the Hilton Vienna Plaza. 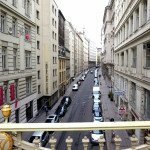 The city is very easy to navigate and just walk around. One thing I found is that the majority of the signs are in German so you might struggle especially if you don’t like asking for directions. Me, on the other hand, love asking locals to help me find my way. Thankfully our hotel was close to the city centre, the University, and major metro links. It is easy to navigate. 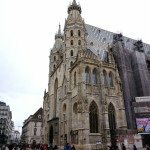 On our first day we decided to take the free walking tour of Vienna, so we can familiarise ourselves with the city. 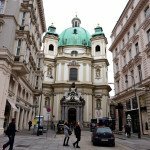 The interesting thing about walking tours in Vienna is that they have to be professional and licensed tour guides. 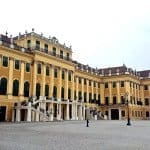 So not only do you get a “free walking” tour that usually costs hundreds of euros but you also learn some great historical facts whilst exploring. 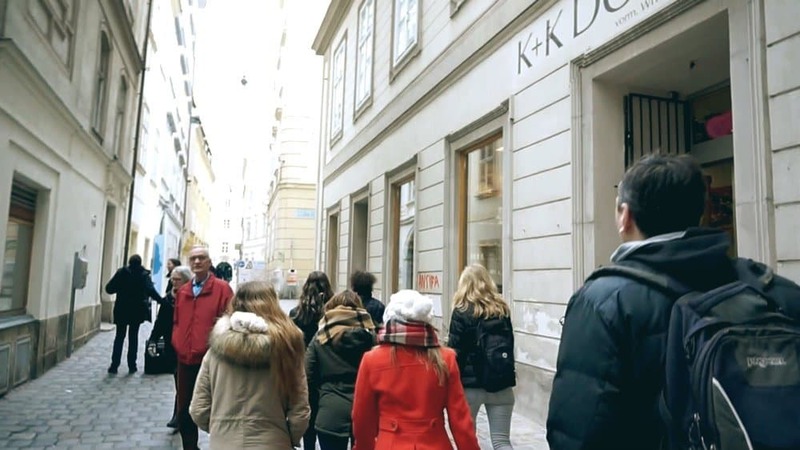 In Vienna, we used the Original walking tour. I found them on TripAdvisor after searching on google and they do have excellent reviews. You are meant to sign up in advance which we didn’t but just showed up on the day. Now the problem with this is they only have a certain amount of people they can take;though on that day they let all of us in since many who signed up didn’t turn up for the walk! Ha. I would advise you to sign up for the tour before you go, just so you make sure you actually do the tour. The tour starts outside the Cathedral. Now on the website, this is not 100% clear and we ended up asking some random group of people who were just waiting outside. (!) I really didn’t want to miss the tour! We have plenty more of these types on the video vlog if you want to watch. Formalities over, basically your name only, and we started the tour. We covered about 3 km of walking in total and it took us about 2 hrs. 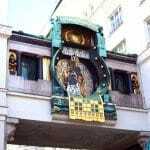 It is slow pace and there are stops where she explains things about Vienna, places to eat, habits of Viennese people etc. It is actually one of the reasons why I loved the free walking tours so much. They provide you with an insider’s view and this is what we all want. Well, at least I do. 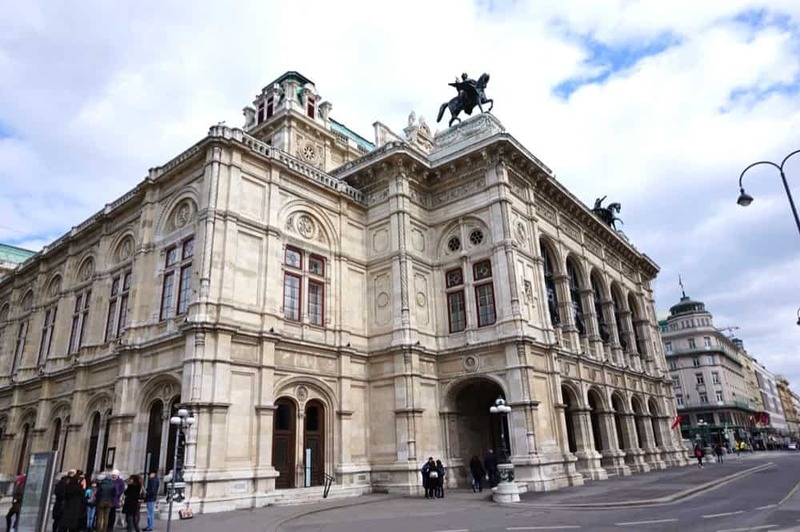 The tour takes you from the Cathedral to Mozart’s house and museum, to the Jewish quarter, to Hofburg Palace down to the Opera House, with a few stops in between. Throughout the walk, the tour guide explained the history of each place and helped us connect the dots if we had any questions. We really liked this tour guide and I asked her for her details (below), if you have a large family and you are not interested in a free walking tour then you can hire her for the day. This way you can manage your own pace and see the sites you want. They also have the same tours in other European cities. 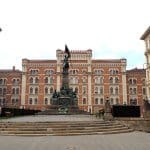 In Budapest, however, I opted for a different company just so I can experience another version of the tour. Now with any free walking tour, the guide works for the tips, if you enjoy the tour you tip if not you have no obligation, you can just walk off. We ended up giving the tour guide a very good tip because she was a total professional and you can see that she knows her subject and is passionate about her job. 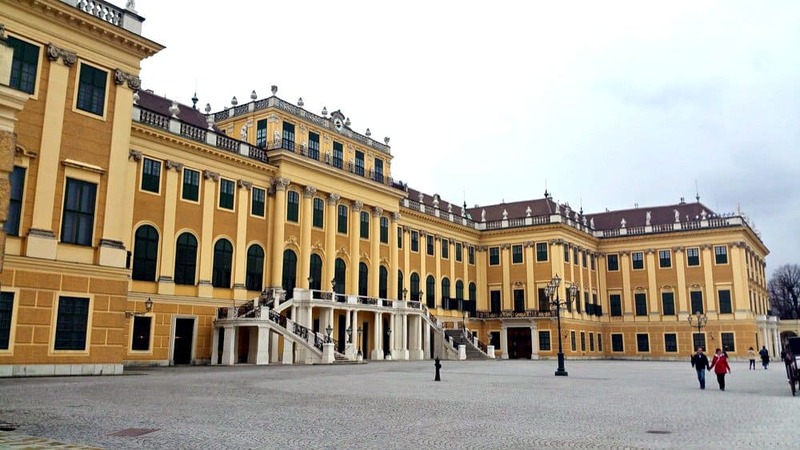 Vienna is a super beautiful city and I will be back even for a week. I am happy I did this trip because it was one of the places I wanted to visit for a long time. 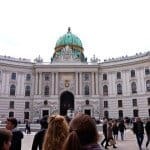 I think that the free walking tour in Vienna is an also really great. Effectively you have a professional guide with you for few hours and you will be paying a small tip or even go free. I find this a total bargain! Highly recommend the tour to others and I think it’s a great way to explore this gorgeous city. Nice post! Thanks for the info on the walking tour and your review on it. 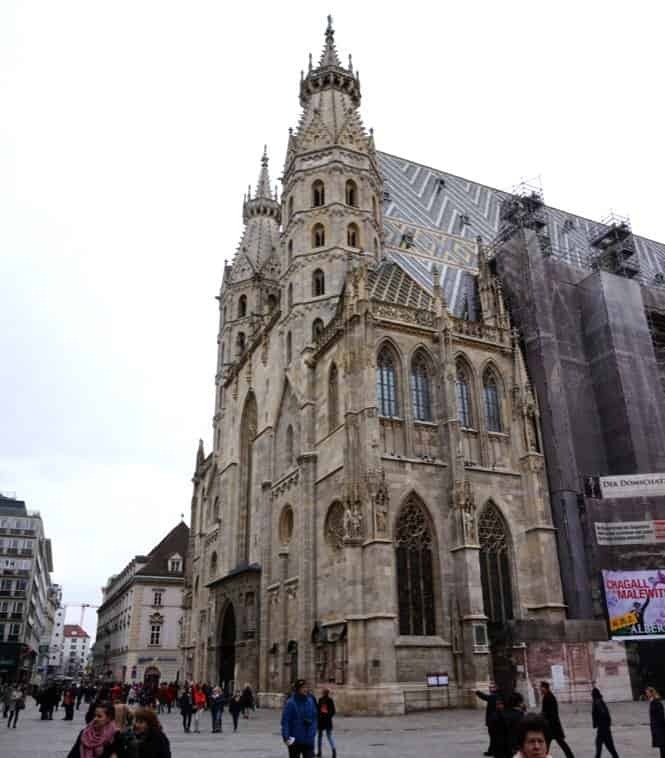 Too funny, I will actually be in Vienna tomorrow and am charting out a running tour that I will be doing a post on later! 🙂 Nice timing with your post! Awesome! That sounds so cool!